Our organization is one of the leading Seller of supreme quality range of Organic Manure and Jaivik Khad in India. These are manufactured by utilizing high quality raw materials and innovative technology. Moreover, Organic Manure and Jaivik Khad is attainable at market leading rates. This micro-organisms fertiliser (Jaivik jeevanu khaad) – is a soil enriching product that stimulates agricultural growth organically. 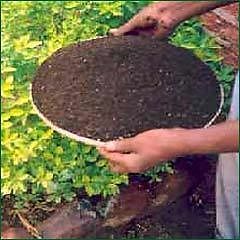 This thick and dark brown growth product is free from infected plants, weeds, odour generated molecules and other non organic matter. Fertilizer contains super organic molecules for the protection of micro organisms such as azotobacter, actinomycytis, phosphate solubilisers, root canal bacteria etc.